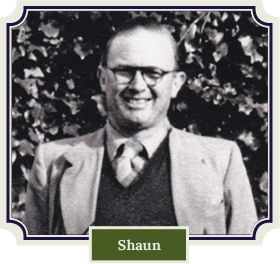 Since 1955, that’s an awful lot of accumulated expertise and perfection in the art of growing blackcurrants, and a huge amount of fruit. So you can appreciate, we really do know our stuff! For over 50 years till 2013 we grew blackcurrants for Ribena and even featured on Ribena TV advertising. 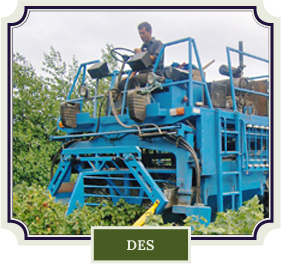 We are constantly improving and upgrading our approach to blackcurrant farming to achieve the best quality fruit with the highest concentrates of natural sugars, taste and rich nutritional value. Add to that the enviable location of our farm in Ireland’s sunny South East and bordering the rich, fertile soil of the famous Wexford Slobs. We are rooted to this spot and not moving any time soon! At Ballykelly Farm, we employ the strictest quality standards, through our environmental conscientiousness and responsible husbandry. 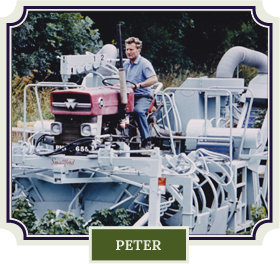 The farm has been at the forefront of research initiatives, often leading the way with pioneering trials. Our nurturing of wildlife on the farms adds to the biodiversity and assist us in providing you with our very best blackcurrant. We are Bord Bia Quality Assured and currently the only Irish fruit farm with Origin Green sustainability certification. 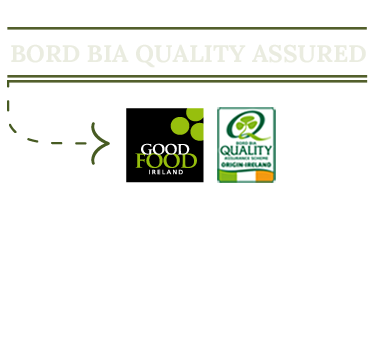 In 2006 we also founded Good Food Ireland, the benchmark brand for local produce in Ireland. It operates from here on the farm and is run by wife Margaret. As you can well appreciate, we work hard to maintain our standards. Our blackcurrant crop is the last to be picked in the Western Hemisphere, ripened with summer sunshine and plumped by soft Irish rain. Our expertise tells us when to harvest, at the exact moment of optimum ripeness. That’s why our blackcurrants are always bursting with natural goodness and vitality. Full of vitamins and highly prized for their rich black colour and flavour. 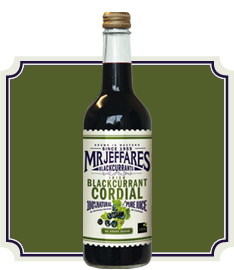 In celebrating 60 years, we now bring to you Mr Jeffares Blackcurrants and the secret of what we have enjoyed all these years – our new, first to market, unique Irish Blackcurrant Cordial with No Added Sugar. It is a 100% Natural, Squeezed and Cold Pressed Pure Juice made from our Irish Blackcurrants and Not from Concentrates. The natural sweetness of the non-calorific stevia plant replaces the sugar in our Blackcurrant Cordial, thus no artificial sweeteners or colours and no compromise on flavour.